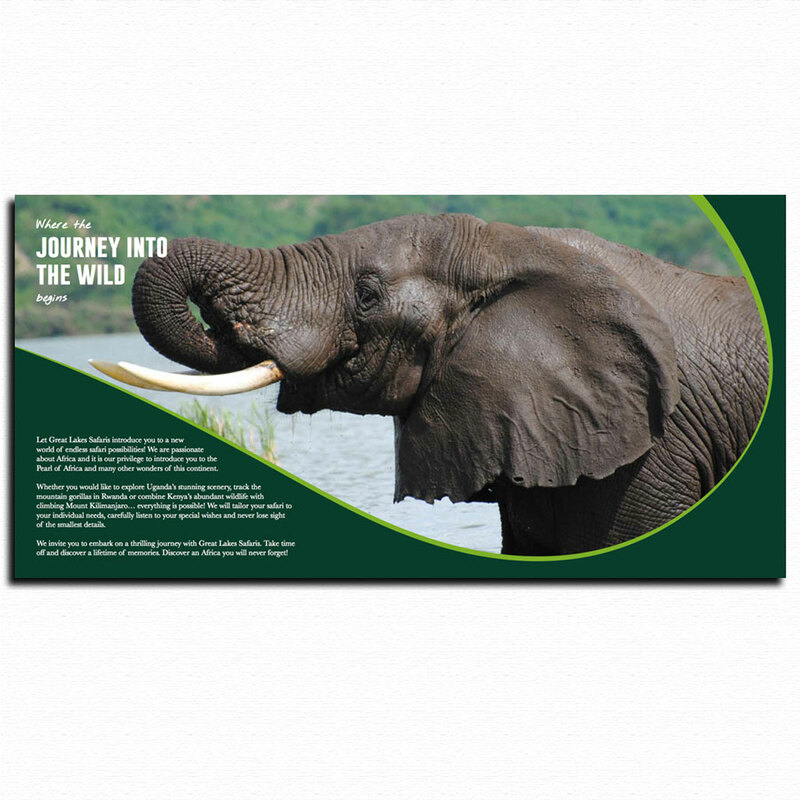 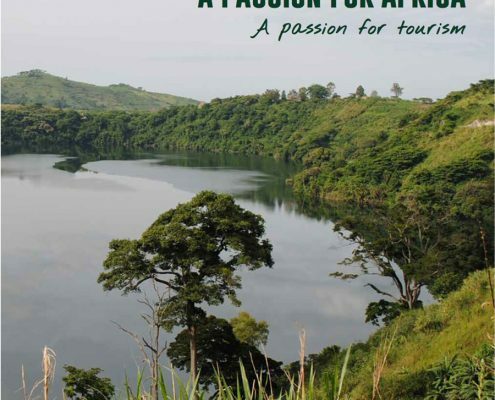 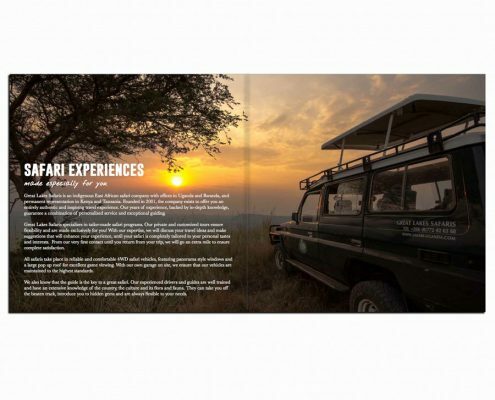 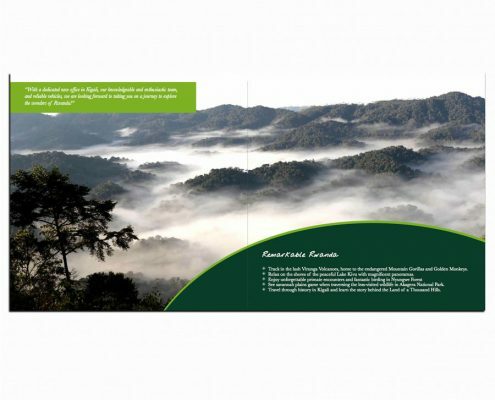 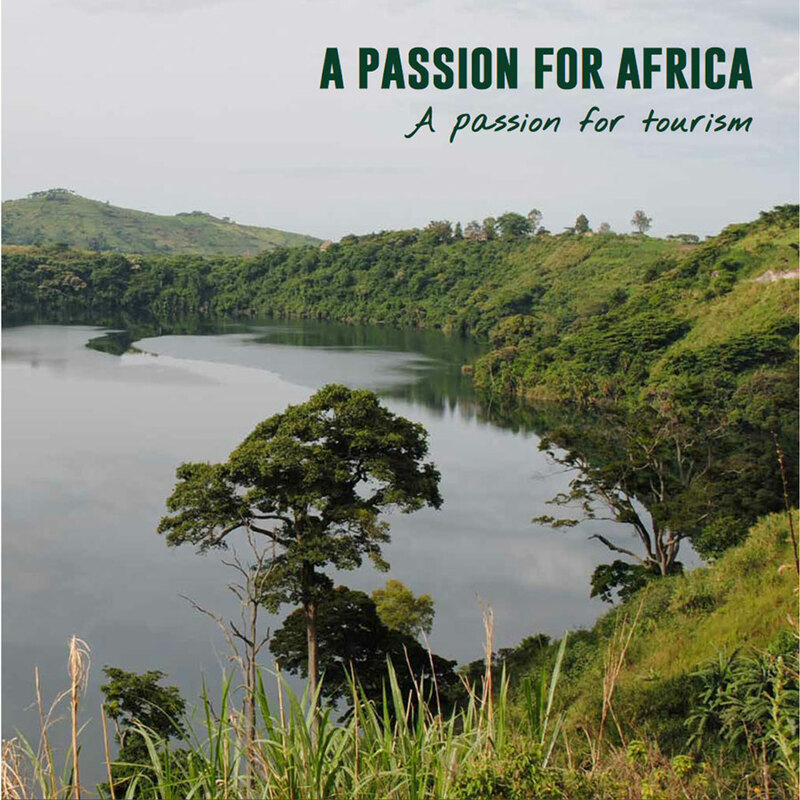 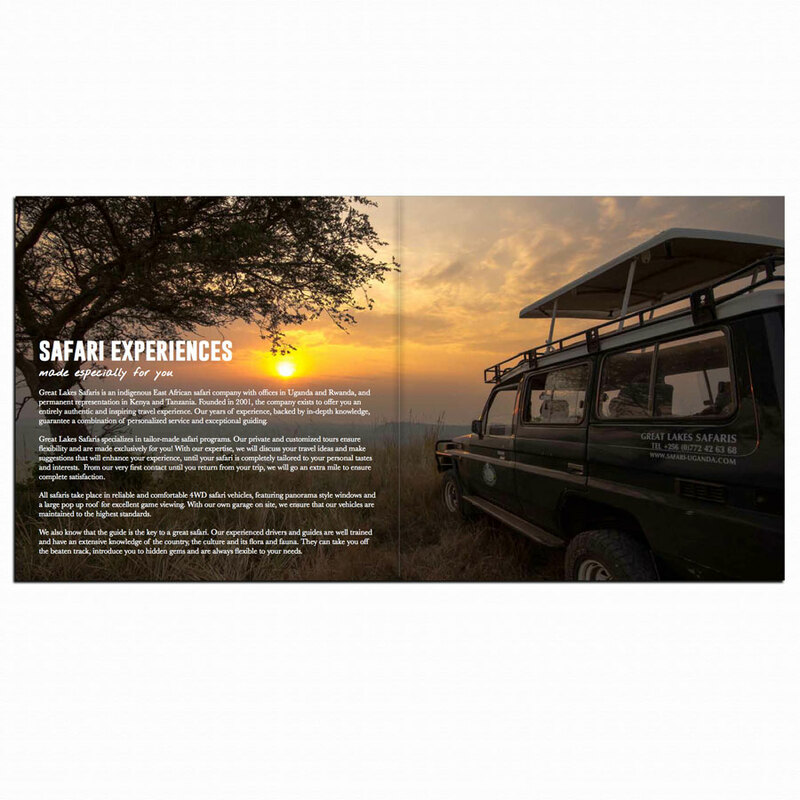 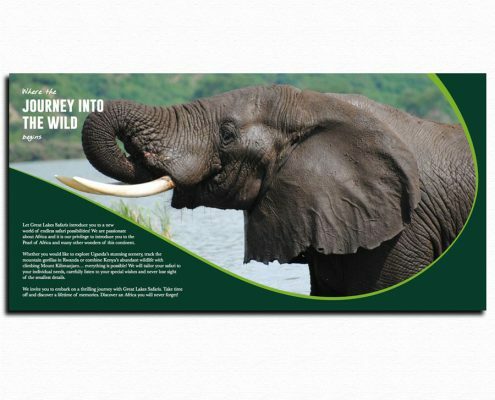 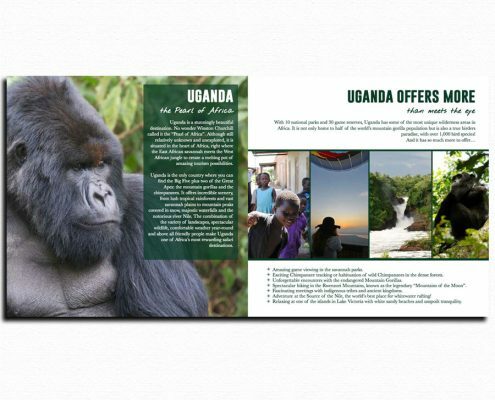 To target 5* UK clients by creating an engaging sales brochure which showcases the best Uganda has to offer. 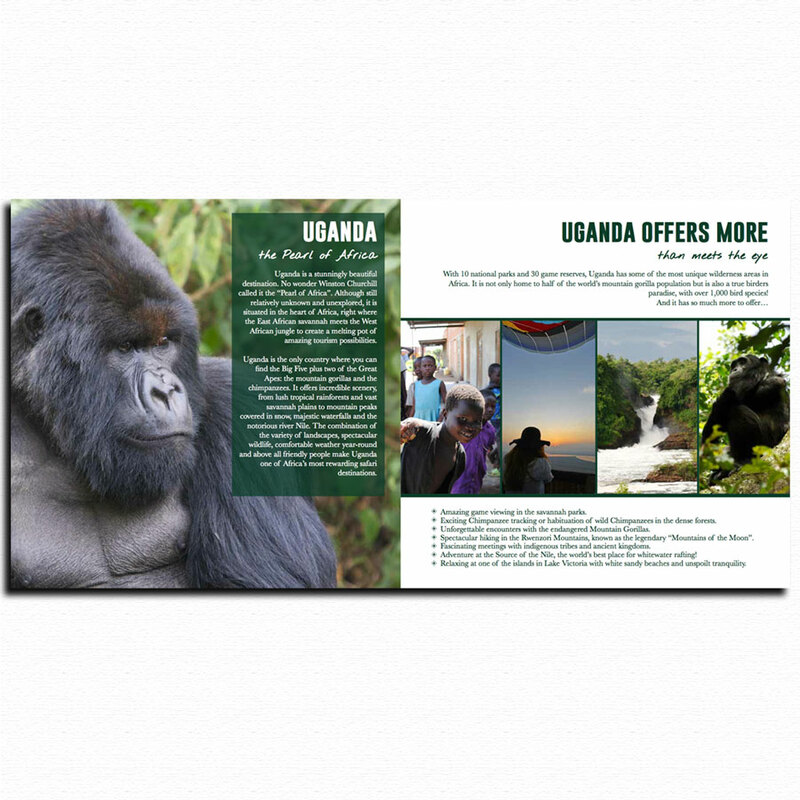 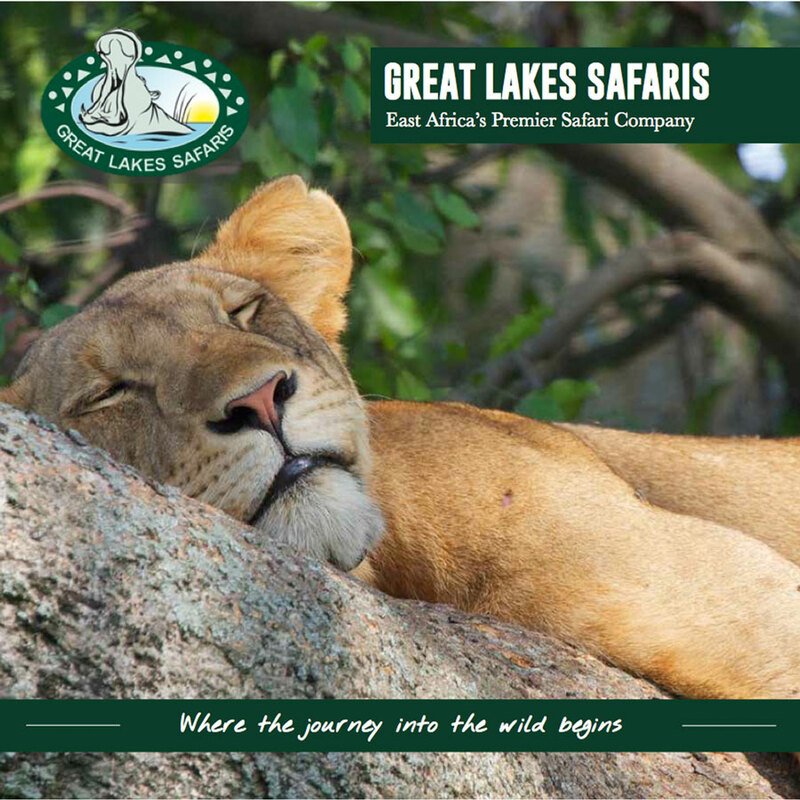 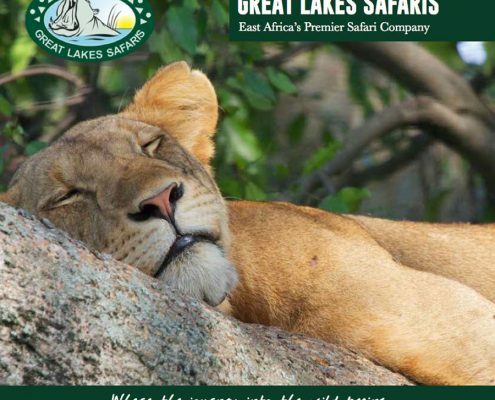 By using beautiful imagery of the wildlife of Uganda we cropped the images tight to engage the reader more so. 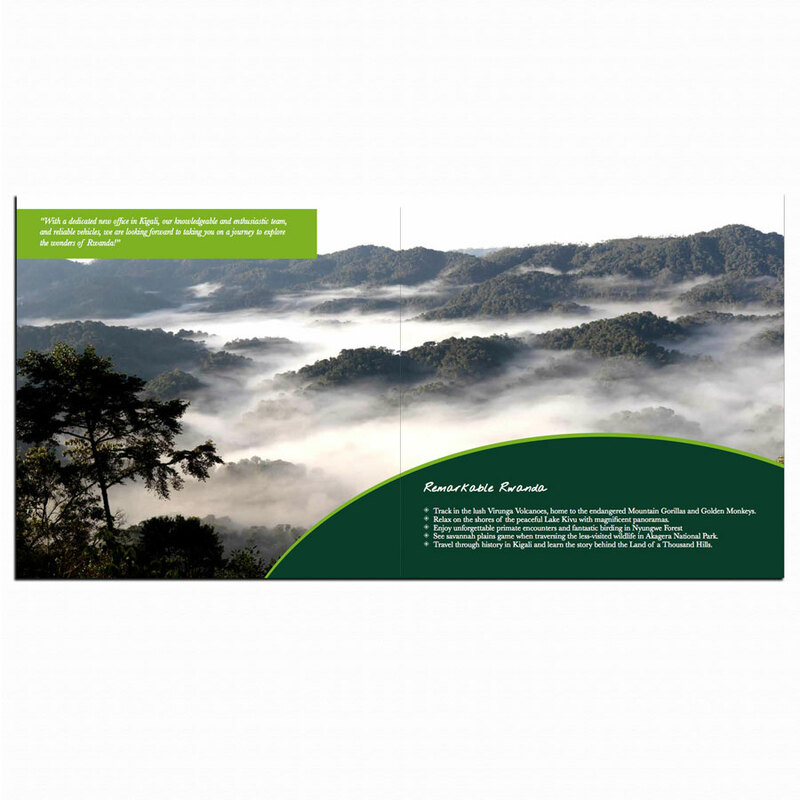 We steered away from the typical rustic, sunset colours often used in this industry and instead used the jungle as inspiration.